Pleasant, helpful and courteous staff. Eager to please. Everything explained. 20m3 pantechnicon that I hired was clean and in good running order. Normal car licence only needed. Automatic transmission, big door mirrors and reversing camera make it extremely easy, even for a first-timer. Easy to refuel. Easy hand-over at end of hire. This is far and away the best car hire service both in Townsville and Mt Isa! David went out of his way to help us when our flight was unexpectedly cancelled as we arrived to return the car in Townsville. Best price for a small car as well. Will definitely use Meteor again. Meteor staff are really great, helped us out when our vehicle broke down in Mt Isa, they couldnt have been more helpful. For the best rates on latest models, professional friendly service and great locations across Northern & Western Queensland 1300 Meteor Rentals has it all! Book online with 1300 Meteor Rentals and save! Quality reliable car, minivan, bus, ute, van, recreational commercial & mine spec 4WD, truck & trailer fleet rentals, with free pick up and drop off from Cairns Townsville or Mt Isa airport*! One way rentals welcome! With over 35 years of trusted service & experience & the largest privately owned rental fleet operating in northern & Western Queensland we're here to assist you with your requirements! 1300 Meteor Rentals is also a U-HAUL trailer hire agent in Cairns Townsville & Mt Isa - Australia's long term, local, one-way interstate trailer rental specialist! Whether you're on holidays, looking for a 4WD adventure to Cape York or Lawn Hill, moving house or are a sporting team or a business or corporate client, 1300 Meteor Rentals has the range, service and expertise!. With numerous hire operators to choose from, how do you make the right choice? Who can you trust to look after you with a great deal for a quality vehicle and the service and professionalism you deserve and are paying for? Whether you need to rent a car, minibus, ute, van, 4WD, truck or trailer for work, business or pleasure here are the reasons we believe 1300 Meteor Rentals should be your first choice! We provide straight and honest advice and truth in advertising. For instance, when you see a hire company advertising that you can drive a 3 tonne truck on a car licence it saddens us to say that they are having a lend of you! Traditional practice is to describe a truck by its nominal payload ie the approximate weight / load that the truck can legally carry, and this is how we describe our trucks. For example, a truck with a Gross Vehicle Mass (GVM) of 4.5 tonnes (the maximum you can drive with a car licence) is traditionally referred to as a 2 tonner ie this size truck will nominally carry around 2 tonnes, and so on. When it comes to the standard of our vehicles and level of service we offer our customers are our best referee - check out our many reviews! From cars to mini buses, utes & vans to tray, tipper, furniture & crane trucks, 4WD's and trailers we have it all! Click on OUR RANGE above for full details of our fleet, including video clips showing you in and around each vehicle and trailer! We purchase virtually all of our vehicle stock brand new, and our vehicle retirement policy below ensures that you only receive the best vehicles you can rely upon - new and late model low kilometre reliable vehicles with the latest safety features! From baby seats to moving accessory packages, from tradesman canopies for our 4x2 & 4x4 DC utilities to mine spec accessories and recovery gear to our 4WD's and shipping container pins for our larger traytop trucks we carry an extensive range of accessories. A schedule to suit the various vehicle types appears to OUR RANGE pages and when navigating our Online Booking System. We provide a free airport pickup service to any renter of our motor vehicles! This includes cars, people movers, light commercials, 4WD's and trucks. Click on 'RENTAL INFO' above for full details of our airport pickup service to each of our locations. 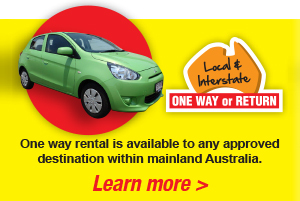 As well as offering one way rentals between our branches we also offer one way rentals to approved locations throughout mainland Australia, that are regularly serviced by major trunk and regional airlines and/or intercity bus line. And if you're hiring a car on a one way rental regardless of destination you are most welcome to also hire one of our trailers one way behind it. If wishing to hire a trailer by itself on a one way rental we're 1300 Meteor is also the local agent at all locations for U-Haul Trailers - Australia's leading trailer hire specialist for long term, local, and one way intrastate & interstate rentals! We're a professional second generation family company of very long standing (incorporated in 1970), with a background in transport and motor body building, and vehicle hire since 1982! We know our vehicles and equipment and we know the areas we service! For the best quality car hire in Cairns, Townsville & Mount Isa. 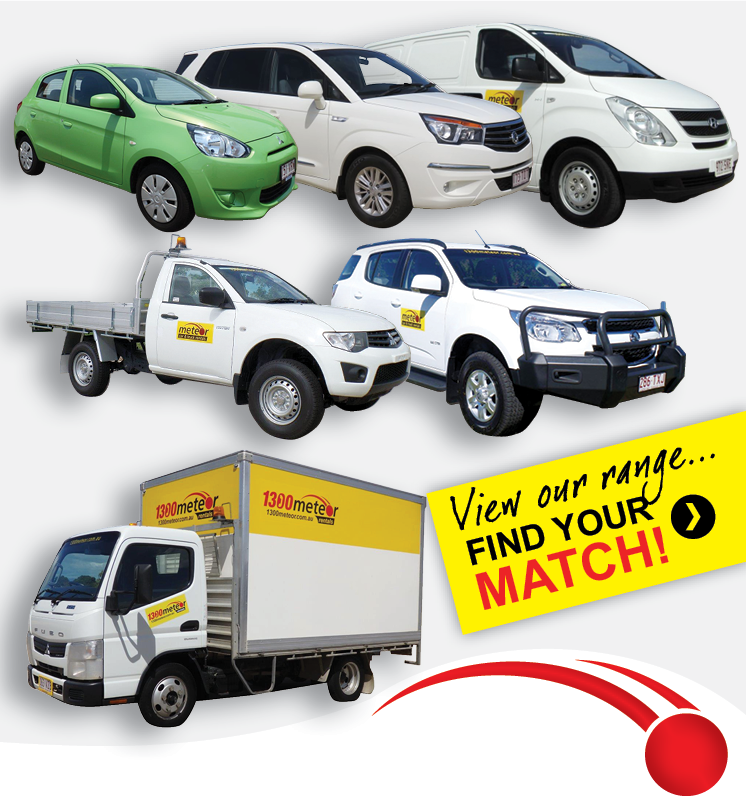 Check out our quality fleet, our highly competitive rates, and the value accross North Queensland! 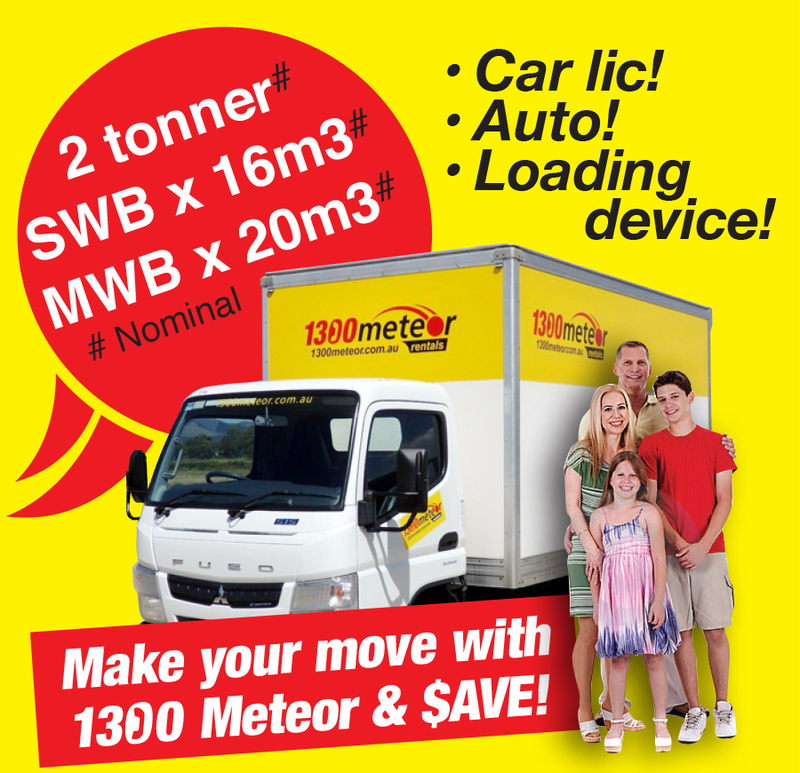 or ring us at 1300METEOR (1300 638 367)!